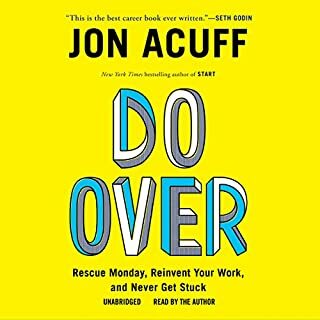 I enjoy Acuff's books, he has a realistic and fun perspective on career life. I can't wait to read his books in 10 years, they are only getting better. Because he is a young writer, I often times feel as though I am in a similar stage as him. This helps me connect, but also helps me seek out guidance from "old timers" as well. Seeking wisdom from multiple counsellors is important. I will always seek wisdom from Acuff.